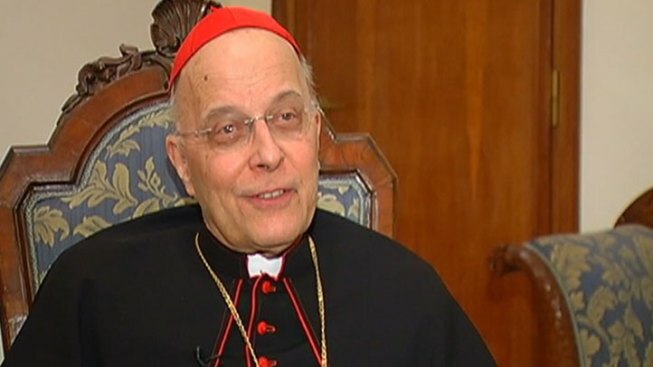 Chicago's Cardinal Francis George sat down for interviews following the public introduction of Argentine Cardinal Jorge Mario Bergoglio as Pope Francis. Cardinal Francis George discussed the power of a name to a very crowded room at Holy Name Cathedral in his first Sunday mass since his return from Rome. His Palm Sunday service was intended to be a “play on names” after the newly elected Pope Francis chose to name himself after St. Francis Assisi, also taking the name of the cardinal. George said a person’s name is filled with meaning and who we choose to name ourselves after holds power. 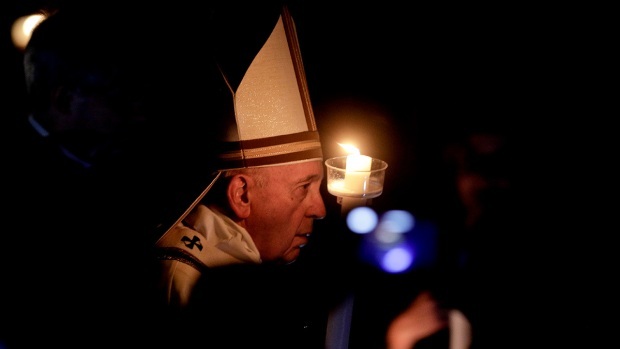 Parishioners agreed that the naming of Pope Francis reflects his humble demeanor as a pope. “He’s just a man of humility and of peace and for the poor, essentially,” said parishioner Elaine Wickstrom. “It’s a huge reminder of how you’re supposed to live as a Christian,” said Carol Rose. After Pope Francis' inauguration Tuesday in Rome, Catholics from Chicago and beyond were hopeful of the new leader's reach. 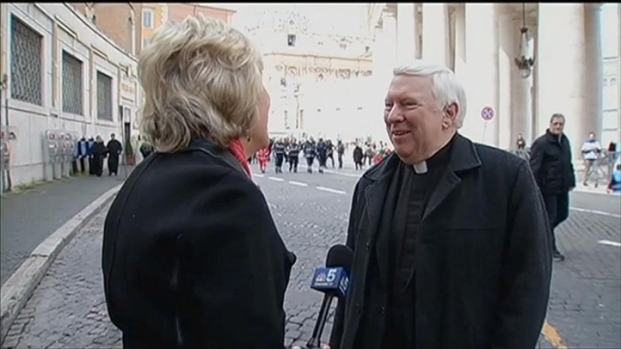 Mary Ann Ahern reports from Rome. George said Pope Francis was “obviously the best one to choose” out of the list of potential candidates for the pope, but said the honeymoon period won’t last forever. “Catholics are pretty happy with [Pope Francis] but we will see a few hard decisions coming ahead,” he said. George previously spoke about his hopes for the new pope, stating the simplicity he evokes could bring a much needed shift in the Vatican. Francis’ casual wardrobe wasn’t the only act of simplicity that drew the cardinals to him, George said, but rather the way he speaks. “It was his simplicity and the straight forwardness with which he said [his remarks],” George said.